In 1950, as an 18-year-old college intern, Cynthia Riggs became friends with 28-year-old Howard Attebery, a colleague at the Scripps Institution of Oceanography in San Diego. They devised a secret code to pass messages back and forth under their lab mates' noses. After four months, they went their separate ways, and that was that. Except it wasn't. In February 2012, Cynthia -- by then a celebrated mystery writer -- received in the mail a mysterious envelope. Not only were the notes within written in code, and on paper towels, the return address was given in latitude and longitude. Quick deduction revealed the answer: The sender was Howard Attebery, Cynthia's colleague from 62 years before, now a retired dentist with an active passion for science. A correspondence developed and flourished, in email and snailmail and including plenty of photographs. In September, Cynthia flew west to meet Howie in person. They became engaged. Late the following winter, Howie with his son Mark drove cross-country to take up residence on Martha's Vineyard. On March 28, 2013, Cynthia and Howie were joined in a Buddhist ceremony in the parlor of Cleaveland House, Cynthia's ancestral home, which they now run together as a B&B. A wedding followed in May at the First Congregational Church of West Tisbury, attended by many family members and friends. Cynthia and Howard's story has been celebrated in newspapers, radio broadcasts, and TV shows across the country and around the world, notably on The Moth Radio Hour. Here it is at last in book form, told in the words of those who know it best and lavishly illustrated with photographs from both their lives. Their letters, witty and poignant and vividly evocative, bring the reader along on their extraordinary journey of reunion and love. 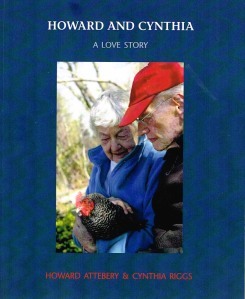 Howard and Cynthia makes a wonderful gift for anniversaries, birthdays, and any other occasion. Howard and Cynthia is now available exclusively from The Moth Radio Hour. You can order it by contacting The Moth at info@themoth.org.